3 days | From 4480RMB/pers. 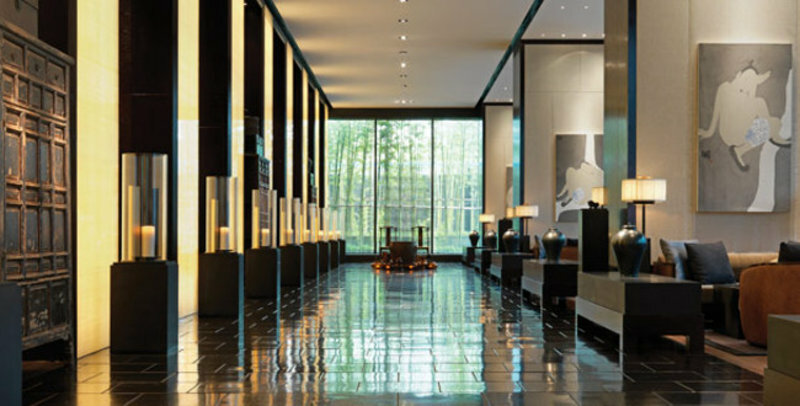 For the ones who like Art and Design hotels, The Puli resort & spa, located near Jing An temple will respond to all those criterias. The Indonesian influence will leave you in a relaxing atmostphere. Old world charm meets the comforts and amenities of modern life in every room at The Puli, where contemporary design is accentuated with historic touches. Every room includes subtle references to the past, whether it is a vase in the lounge area or the lavabo in the bathrooms. This 45 m² room overlooks the ever-changing Shanghai skyline. The generous and open space can be separated with a sliding ceiling-to-floor silk partition screen to create a more private setting. The Puli Hotel and Spa is centrally located in the very heart of Shanghai in the JingAn District, between the famous NanJing West Road and YanAn Road. Jing'An restaurant, the Australian chef proposes an international menu with subtle elements of Asian influence. Long Bar offers wine and champagne by the glass. The Garden Terrace is the place to unwind, a 135-square meter space that can comfortably fit about 55 people.